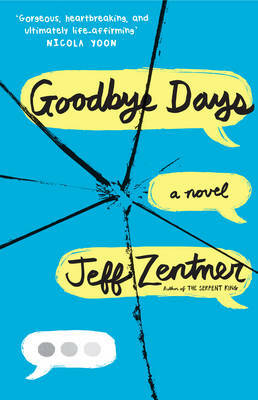 Smart, soulful, authentic and original, there’s no doubt that Zentner is an outstanding YA writer. 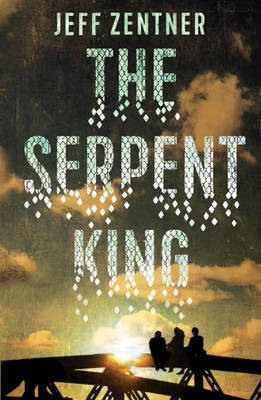 His debut novel was a southern gothic gem, his second an incisive account of grief and guilt, while this is a contemporary coming-of-age classic, replete with a heartrending road trip, feverish romance and LOLs aplenty. About to graduate from high school, best friends Josie and Delia host a humorous horror movie show on public access TV, with Delia channeling her estranged dad’s love of low-budget fright fests and Josie working towards a career in TV. Experts in the art of witty back-and-forth tennis-rally banter, the girls are super close, but unsettling changes are on the horizon. Delia is desperately torn-up by being abandoned by her dad and, having tracked him down to Florida, has to decide whether she wants to contact him, just when it looks like Josie is about to leave her to take up an internship in another city. While this simmers, and as Delia struggles with being “the mother to my mother”, they’re invited to attend Shivercon. Seeing this gathering of horror moviemakers as the ideal opportunity to meet and enlist the support of an iconic presenter, they embark on a twelve-hour road-trip to Florida with Josie’s new boyfriend Lawson in tow, and Delia now set on seeing her dad. Josie and Lawson’s unexpected romance is as head-over-heels uplifting as Delia’s reunion with her dad is poignant, and there are plenty of entertaining plot twists and moments of everyday magic as this novel wends to a heartfelt conclusion. Josie and Delia are best friends and co-hosts on their own public access TV show, Midnite Matinee. They dress as vampires Rayne and Delilah, perform daft skits involving skeleton raves and dog weddings, and show the weekly so-bad-it's-good low-budget horror movie. But the end of senior year is coming, and Josie is torn between pursuing her television dreams in a new city or staying making TV with her BFF. What's more, she's just met a boy, Lawson, who is totally not her type, but is just a little bit intriguing . . . Meanwhile, Delia is searching for her dad, who walked out on her and her mom ten years ago. 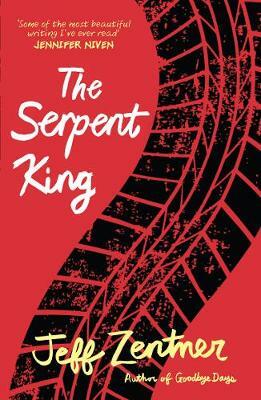 When the private investigator she hired unearths his contact details, she agonises over digging up the past. A road trip to ShiverCon, a convention for horror filmmakers, may just have the answers the two need - but will Josie and Delia be prepared for life taking some seriously unexpected plot-twists?